Are you trying to cut back on snacking? Chewing gum is a tried and true way to curb your appetite. 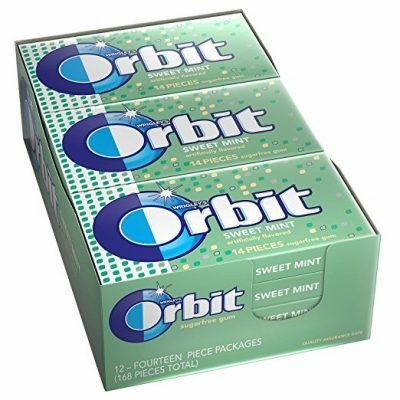 Here’s a chance to stock up on the 12 pack of Orbit Sweet Mint Sugarfree Gum, now only $7.79 as an Add-on item. Add-on items ship with qualifying purchases over $25. Package includes 12 Orbit Sweet Mint Sugar Free Gum packs, 14 individually wrapped pieces in each pack. Wednesday Freebies-Free Kind Bar for a Friend!